Abu Dhabi: A series of pedestrian tunnels across Abu Dhabi Corniche are set to feature colourful artwork and graphics as part of a new project launched by Abu Dhabi City Municipality, it was announced on Thursday. In a statement, the municipality said the project aims to transform the pedestrian experience through the use of three-dimensional art and controlled lighting. 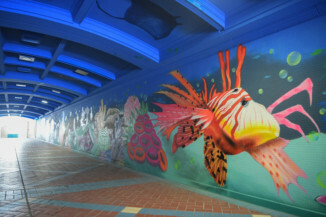 At present, two tunnels alongside the Al Bahar area have already been decorated with a vibrant marine theme. 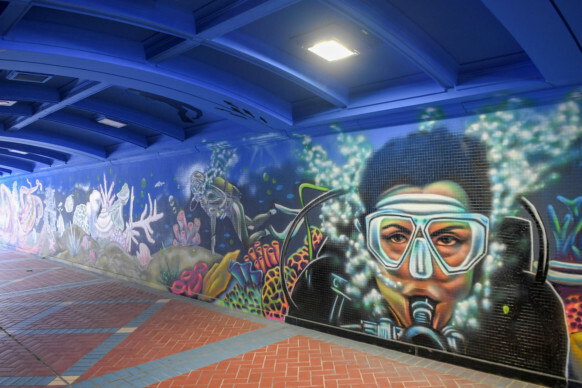 The municipality has previously undertaken other projects to enhance the city’s pedestrian tunnels, including equipping them with CCTV cameras. Meanwhile, a number of development projects have also ensured that Abu Dhabi Corniche includes vibrant and engaging public spaces.